Born in Enderlin, ND on Sept. 26, 1895. Shattuck studied at the Chicago Academy of Fine Art and the PAFA. He moved from New York to Laguna Beach about 1929. During the 1930s he was an art director for Metro-Goldwyn-Mayer and an instructor at the Chouinard Art School. A veteran of both world wars, he died at the Veterans Hospital in Los Angeles on March 2, 1962. His paintings include nudes, interiors, and landscapes of the West and Mexico. 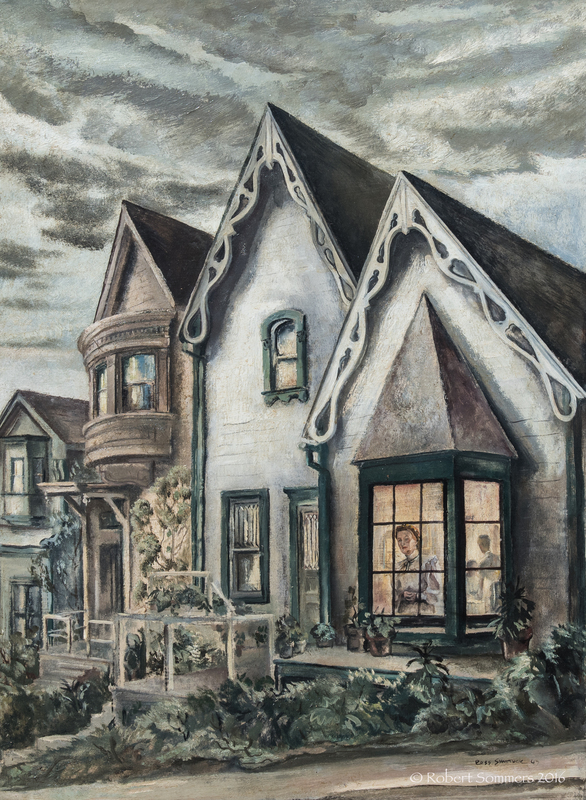 Exh: Chouinard Gallery (LA), 1936; Gump’s (SF), 1940; CPLH, 1948; La Quinta Hotel, 1960. Southern California Artists (Nancy Moure); California Arts and Architecture list, 1932; Los Angeles Times, 3-6-1962 (obituary).